These are some other shots from my photoshoot in my Koi pond with Tiffany. This particular fish was one of the less impressive fish, but it ended up being the cutest and most friendly. 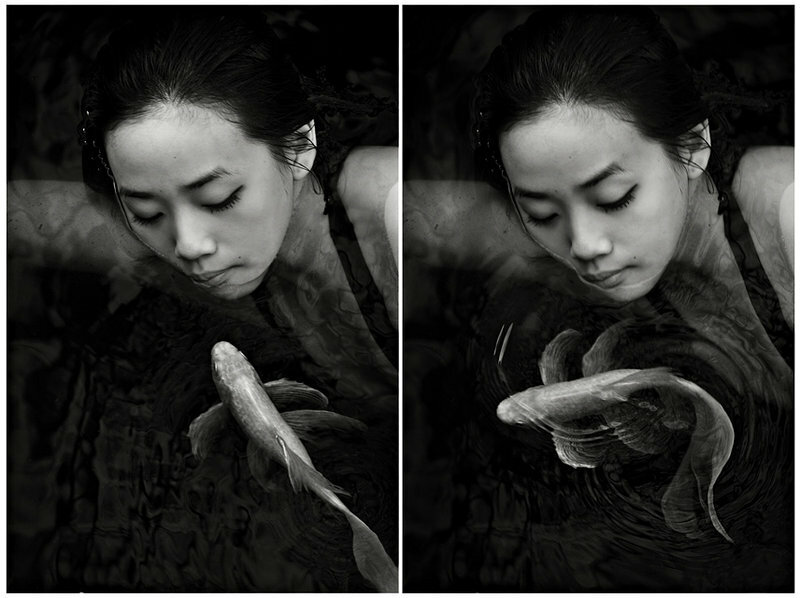 These two photographs were taken in sequence as the fish approached tiffany and then swam away. wonderful... what a great photo session that turned out to be. I love the interaction here. I've tried shooting myself through a tank - but getting the model right in there with the fish had great results. You really captured the mood that those ponds emit. it's like the fish is sizing her up, and then goes for help in the second frame. it maybe it just loses interest... but who knows what a fish 'thinks'. Proudly hosted by Sargasso Networks. Current Server Time: 04/21/2019 04:22:25 PM EDT.